Monday 1st of August 2011 is a very special day for the Met Office. 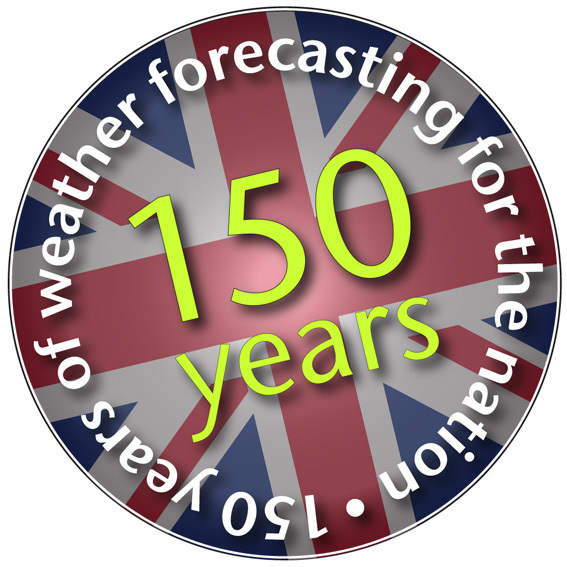 We will be celebrating 150 years of forecasting for the nation, marking the anniversary of the first ever public weather forecast appearing in print. 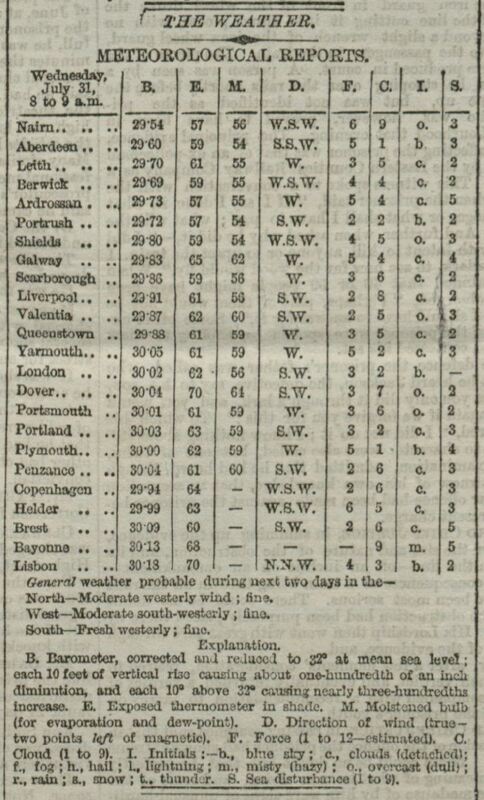 Starting with the lines “general weather probable in the next two days”, the short piece which appeared in on page 10 of the The Times in 1861 was a bold move which started forecasting as we know it today. It was put together by Robert FitzRoy, a captain in the Royal Navy and a pioneer in the field of meteorology who headed up the department which later became the Met Office. John Hirst, Chief Executive of the Met Office, said: “We’re extremely proud of our long heritage and to be marking this landmark anniversary of forecasting for the nation. “Ever since our humble beginnings, the Met Office has been a pioneer in the science of meteorology. Forecasting the very variable British weather is always testing but by facing that test every day we have established a reputation around the world as being amongst the very best at what we do. The inspiration for FitzRoy’s first forecast came from the desire to protect life and property. In 1859 a storm wrecked the ship Royal Charter and many others, costing the lives of hundreds of people. He believed this kind of event could be forecast in advance – giving people the necessary time to prepare. This belief led to his first public forecast in 1861. Since then forecasting has stayed at the forefront of scientific and technical development, embracing advances such as chaos theory, supercomputers, satellites, and even mobile internet to transform the way forecasts are created and delivered. During that time forecasts have had a huge impact – from advising of a weather window for the D-Day landings to giving advance warning of the terrible floods in Cumbria in November 2009. To mark the event, the Met Office is launching a photo competition asking the public to put forward pictures which define weather moments of 2011 so far. Details of the competition, as well as a timeline of major events in forecasting over the last 15 decades, are on the Met Office website or you can find out more about our history as well. This entry was posted in Met Office Diary and tagged 150 years of forecasting for the nation, Met Office, Normandy landings, public weather forecasts, Robert FitzRoy, Times, weather forecast. Bookmark the permalink.